The power supply is critically important to turntable performance. Low noise, both mechanical and electromagnetic, from the motor is essential. Speed accuracy is critical for optimum audio quality under any load conditions encountered during the playing of an album. This is so there will be no adverse effects on the low-level cartridge signals being generated and fed to the phonostage. Below are a range of LP12 power supplies which are perfect upgrades to your LP12. Linn, after much research on the subject of DC motors for the LP12, released the Radikal in 2009. Immediately, the Radikal received huge praise and acclaim as, quite simply, any LP12 upgraded with the Radikal, had an absolutely massive lift in sound quality. This was an improvement much larger than other upgrades such as tonearm, cartridge or even the sub-chassis. No matter how well engineered, a synchronous AC motor produces some degree of electromagnetic noise, which can cause pickup effects on the cartridge. Although there were other DC motor solutions available for the LP12, in our opinion they never really worked musically, and it is really only with Linn’s own Radikal power supply and motor that we believe you really hear what the LP12 is capable of achieving. Just as many owners were coming to terms with just how good the Radikal was, Linn found a way of improving its performance still further. The Dynamik power supply upgrade to the Radikal’s own power supply within its box was immediately introduced into Radikal production. Linn’s care and attention to existing LP12 owners was again amply demonstrated, as the Dynamik power upgrade was made available to all existing Radikal owners, thus allowing them to upgrade to the latest specification should they wish to gain another leap in performance. The Radikal is the best power supply for your LP12. There are two casework versions: the Akurate (shown right) and the Klimax (shown above). Both are available in black or silver to blend in cosmetically with your existing system. The Lingo has received a major upgrade to deliver even better sound from your vinyl, thanks to the addition of ground-breaking technology derived from the extraordinary Radikal power supply. The Lingo 3 received new and improved Akurate casework and, although the circuit board is the same as the Lingo 2, there are some sonic improvements due to mounting it within the better Akurate casework. Whether bought new or second-hand, the Lingo 3 represents a sound investment for many LP12s. 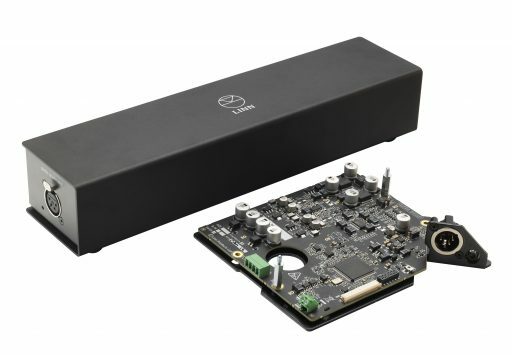 The Lingo 2 is identified by the fact that it’s housed in Linn’s LK-sized box and, although the very first Lingo 2s employed the same circuit board as the Lingo 1, the vast majority of Lingo 2s have an improved surface-mount component board inside. This was introduced very shortly after the Lingo 2 was brought into circulation. As with the Valhalla, second-hand Lingo 1s and 2s represent great value for money when upgrading or starting with an LP12 on a budget. Please ask for details on second-hand units as we very frequently have traded-in units from owners who are upgrading to a Radikal power supply and DC motor (as detailed above). The Lingo 1 was first launched in 1990 and is an outboard power supply housed in a slim rectangular box. There are many sonic benefits in using a Lingo over a Valhalla. Two very low noise crystal oscillators are used, one for 33 rpm and one for 45 rpm, the output of which is fed into a synchronous counter to produce a 50 Hz or 67.5 Hz square wave for 33 rpm and 45 rpm respectively. A precision filter is employed in the Lingo to remove harmonics from the square wave leaving only a pure sinusoidal waveform, this allows the LP12 AC motor to run at its quietest, hence why it sounds better than a Valhalla. The Lingo 1 was discontinued in 2001 and replaced with the Lingo 2. Way back in 1973 when the first Linn LP12s were produced, the power supply feeding the motor was very simple, but in 1982 the first of the upgraded power supplies, the Valhalla, was produced. This is an inboard power supply designed to isolate the rotation of the turntable motor from variations in the mains supply. The circuit board operates by using a crystal oscillator, dividing it down to 50 Hz, filtering it to form a pure sine wave, then amplifying this signal to a level which drives the motor. You might ask, why write about this power supply given that it was discontinued back in 2004? Well, you may be interested to know that it is still possible to have the Valhalla serviced! Class A in Sheffield undertake this work for us and it means there is a very cheap and simple solution to power the motor if you are looking to minimise the cost of buying an LP12 or just keeping an existing LP12 spinning nicely. Ask for details on our service exchange facility for Valhallas, or a serviced second-hand one.